The beginning of what could become a new tennis club in Thanet will be launched this Easter when a new group meets at the St Mildred’s Bay courts in Westgate. 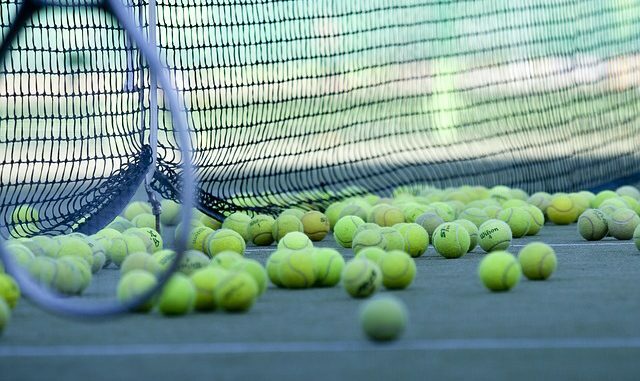 Depending on the level of support, the Westgate and Westbrook Tennis Club will aim to attract many new and former players with regular sessions throughout the summer. Beginners and returning players will have the opportunity to learn and develop their tennis skills. The establishment of the group has won the support of officials at Thanet Council’s Open Spaces Team and the backing of Westgate Town Council who are both happy to see the four courts used regularly to encourage fitness and sport. The first meeting is on Sunday April 21, 2.30pm-4.30 pm. St.mildreds bay tennis courts are in West gate not Westbrook but I do wish you good luck in this venture.